“Some say the journey is more important than the destination. This pearl of wisdom came from an essay written by my eleven year old daughter in an effort to become a black belt candidate. She has been training in Karate (technically Hapkido Blend) for the past six years, and today was her exam to qualify to become a candidate to test for her black belt six months from now. The exam was seven and a half hours long of physical exercise, started at 5:45 AM on a Sunday, and is one of five such exams she’ll have to take before earning her black belt. 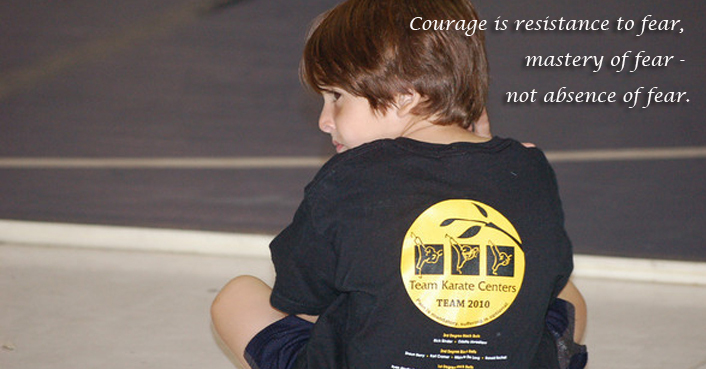 We had only an inkling of the magnitude of this journey when we started at Team Karate Center six years ago. Even then, I had serious reservations. I talked to multiple people (including teachers) and saw multiple ads for studios where the black belt requirements were less onerous. Where a certain fee would guarantee a black belt in a fixed amount of time (usually a year or two). Where a black belt exam was held on the third Thursday of every month, and was two hours after school. Where a student’s only requirement was to physically show up and go through the motions. And I was tempted to switch to those schools. My reasoning was that a black belt would be such a confidence booster for my child, and such an achievement to brag about, that I did not want to take the chance of her not getting one by quitting once the training got too rigorous. Perhaps like most parents, I wanted to stack the deck to make it easier for my child to succeed. My daughter did not want to change studios, so we persisted. While the journey has been six years long (and counting! ), today was its first concrete step. Today, I also definitively learned how misguided I had been. I watched my daughter approach the test with an attitude beyond her years, and a focus and energy that I had never before seen. I watched her overcome adversity in the form of a badly sprained ankle and power through on grit and determination when her body wanted to fail her. I watched her learn firsthand the importance of a positive attitude on physical performance. Most importantly, I watched her display a passion for something that was uniquely hers. She is passionate about Karate not because we taught it to her, nor because she wants to make us happy, nor because she feels like it is expected; she is passionate for herself and herself alone. Words won’t express how proud I am of her; but that’s not even the point. After all, she has a long way to go still, and any kudos would be premature. Pride is not what moves me to write this; rather, I wonder if any of this would have existed if we had gone to another studio with less stringent requirements. Sure, her roundhouse kick may have been as good, and she may have already been wearing a black belt for a year or two. But in the grand scheme of life, those things are minor. What matters more is the confidence, the poise, and the experience she builds every time she steps on the mat. I refuse to judge anyone’s black belt (far be it for me) and do not intend to belittle anyone’s accomplishment. Each person will choose the path that is right for them, and every black belt comes with a commendable degree of commitment. For my daughter, however, the confidence and achievement would not have come from merely having a black belt, but they are coming from (hopefully) earning her black belt. No two year guarantee can equal that. There is a truism in life that we reap what we sow, that we get what we pay for. The above example was written about the martial arts, but could just as easily have been written about any other endeavor. In an age when PhD’s can be purchased online for a relatively paltry fee (compared with tuition anyway), there is still a value to education. In an age when homes can be purchased with 0% down and interest-only payments, there is still a value to equity. Sometimes it takes the wisdom of an eleven year old to remind her father that in an age of easy solutions, there is still value in accomplishment.